A gorgeous, softening face mask to cleanse & freshen the skin. Precious rose is a well known skin elixir, promoting a healthy complexion & skin tone. 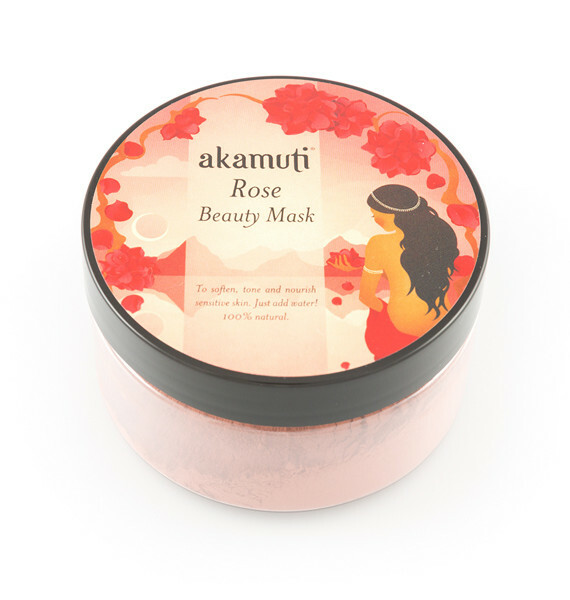 We've teamed this fragrant rose powder with purifying, mineral rich rose clay & the softening qualities of marshmallow & chamomile for the ultimate skin treat. Marshmallow teams beautifully with rose & is renowned for promoting an even skin tone & encouraging repair. Marshmallow is a fantastic cooling skin tonic to assist upset, aging or problem skin. Apply your clay mask to a clean face. Leave the mask on until the clay begins to dry on your face or starts to feel warm - after about 5-10 mins. Bathe your face with cool water after use & moisturise if the skin feels dry.